Beto Salinas greets supporters during run-off elections for mayor for the City of Mission Saturday, June 9, 2018. 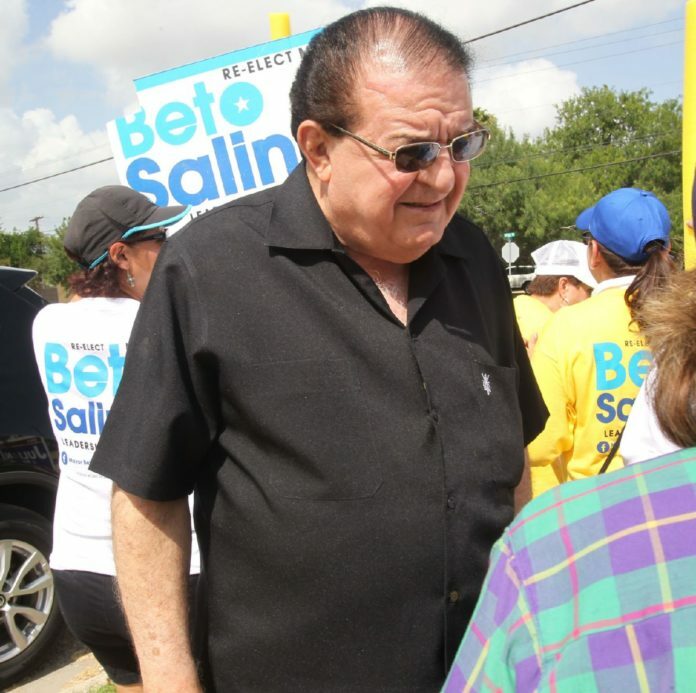 In eight days, Norberto “Beto” Salinas will no longer answer to the title of mayor — the first time since he was first elected to that position 20 years ago. In the wake of his stunning loss in Saturday’s runoff elections, Salinas said he will remain in tune with what happens within the city and hopes the incoming mayor does right by Mission. City council member Armando O’Caña defeated the longtime mayor Saturday with 3,468 votes to Salinas’ 3,316 votes. Salinas said he had a lot of respect for O’Caña who’s served on the city council for 10 years. Property taxes in Mission were at 0.64 cents when he first took office in 1998 and were lowered to 0.48 cents for the 2017-18 fiscal year. Among his concerns is the future of ongoing projects, such as construction of the Madero Bridge. He also said he hoped the results of the elections didn’t set off a wave of terminations within the city, which can be a concern when there’s a significant shift in leadership. “If I could take care of the city for 20 years, I expect them to do the same and do it right without causing any problems,” Salinas said. Despite those lingering concerns, though, he said he’s not deeply disappointed by his loss because of how long he served. “I’m not a sore loser,” he said. “Matter of fact, I think I’m happy things came out the way they did, because 20 years is a long time. But as long as his tenure as Mission mayor has been, his total time in public office is even longer as he was a county commissioner for 12 years and on the Texas Civil Service Commission for six before becoming mayor. When asked if he’d run for public office again, he joked he might run for a place on the board of the Mission Chamber of Commerce. “Can you imagine me running and losing that one also?” he said. He said he has plenty to occupy him with his large ranch and his company, S&F Developers.